Wow what an experience yesterday was - I had a fantastic time & met some wonderful people, the three other ladies that were photographed for the shoot were all beautiful & it was lovely to meet them & spend the day together. I can't wait to see the pictures - as soon as I can I'll post some pictures on the blog, which I think will be around early May. In the meantime it's back to reality with a bump & a busy day in the office. 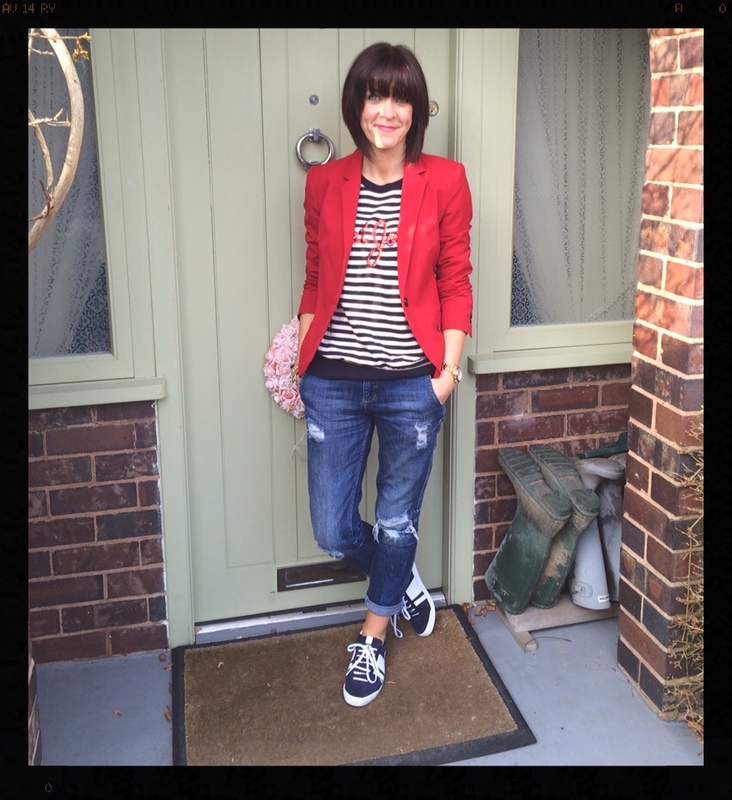 Keeping it patriotic today with a red, white & blue combo & throwing in some stripes & sequins for good measure to! Apologies for the splodges across my face they're actually rays on sunshine & I haven't had a fight with a paintball gun - promise!! Happy Tuesday here's to the week racing past! Aww thanks Frances - it almost seems a dream today! Yes it was great Anne - I can't wait to see the pictures too, thank goodness it's not too long to wait! Thanks Lotty, still can't believe it! Thanks Kareema, the jacket was a fab Zara sale buy at the beginning of the new year & I've been dying to wear it! You don't see these things when you're quickly taking your picture on your phone do you Lynne - oh well it could have been worse!